What fashionista doesn't love the iconic fashion icons of the film industry? Growing up, I remember being inspired by the classic icons such as Marilyn Monroe and Elizabeth Taylor to more modern divas such as Miranda Priestly and Carrie Bradshaw, dreaming of becoming that fabulous. I was recently contacted by Farfetch to recreate a look from my favourite of fashion's iconic movie moments. 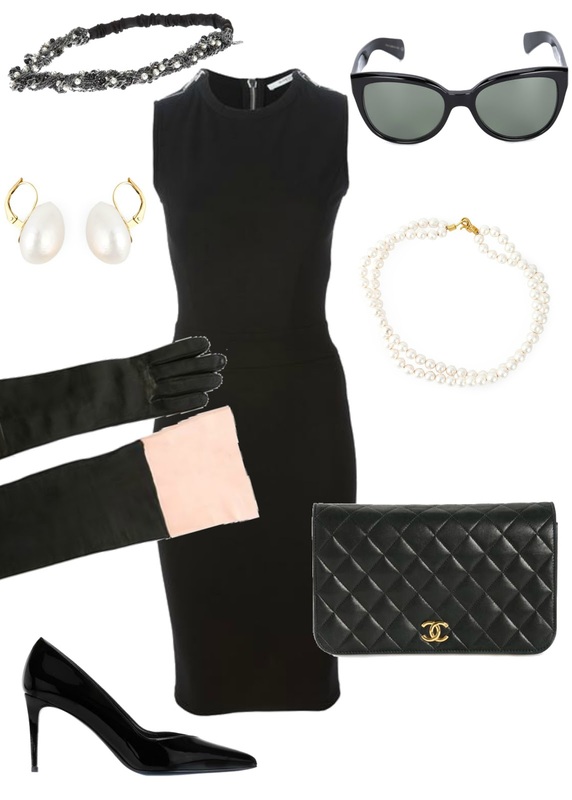 Choosing my favourite, well it seems near impossible but I have gone for one from the top of the list, Audrey Hepburn as Holly Golightly from Breakfast at Tiffanies. I can't think of a movie that I have watched so many times and felt so inspired by. And re-watching it after having lived in New York last year, well lets just say, there were tears, haha! I had so much fun styling this look, as there are so many ways to put a modern twist on these classic looks! What would you have done differently?